This article was written by Jing de Egurrola of the Cebu Mountaineering Society. Special thanks to him and his organization for sharing this mountain with PinoyMountaineer. Photo courtesty of Ma’am Rousel. Mount Manunggal is located in Barangay Magsaysay in Balamban, Cebu and rises to a height of 1,003 meters above sea level. It is the crash site of the presidential plane Pinatubo which carried and killed President Ramon Magsaysay and seventeen of his presidential staff and some news correspondents during that unforgettable event on March 17, 1957 where an annual trek is held to commemorate his death. 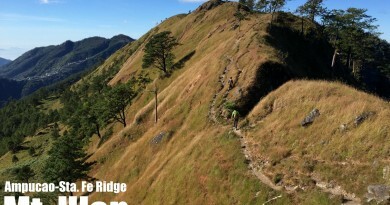 It is accessible through many trails but the trail from Tagba-o and at Cantipla in Tabunan, Cebu City is the main route from which the yearly Pres. Ramon Magsaysay Death Anniversary Climb is held. Mt. 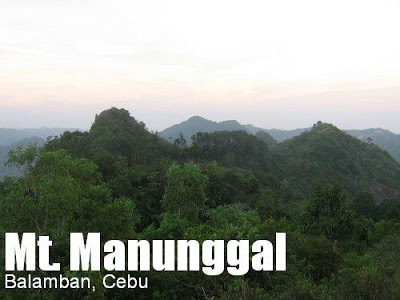 Manunggal is within the enclave of the Central Cebu National Park and is protected by Republic Act 8457, otherwise known as the “Central Cebu Protected Landscape Act”; which also covers the Mananga-Kotkot-Lusaran river system, the Sudlon National Park and the watersheds of Buhisan, Mananga and Lusaran. The trail to Mt. Manunggal from the jump-off point at the river that separates Cebu City from Balamban is quite steep and could be achieved in about four (4) to seven (7) hours for first-timers, depending upon your physical conditioning, and about two (2) to three (3) hours to those who are now very familiar with its terrain. The trail to Mt. Manunggal from Tagba-o is absent of forest canopies and wildlife and traverses through many upland farms planted with onions, tomatoes, ginger, garlic, eggplants, cabbage, carrots, etc. It is wide enough to let two persons pass by each other at its narrowest part and there are no prominent barriers which impede movement save for the lack of shady areas to rest from the penetrating heat of the sun. Water sources abound within the foot of the mountain like rivers, springs and waterfalls and a cool spring near the camping site give visitors a respite from thirst which never falters in water volume even in extreme drought and the el niño phenomenon. The camping site is wide, rolling and grassy where second-growth trees rimmed the area, a result of aggressive reforestation campaigns in the past and present. A spring is located nearby and there are concreted VIP buildings and a comfort room for both sexes provided by the Municipality of Balamban for the benefit of visitors and climbers which would swell to about 500 during the annual trek. The view from the campsite is wonderful and exhilarating especially on early mornings and sunsets. The fabled Mount Tabunan could be seen right across the camping area as well as the valleys in between, the neighboring mountain ranges, the islands of Bohol and Camotes, Camotes Sea and the rivers and roads below which wound around hillocks like serpents. On the campsite is where the monument of Pres. Magsaysay is located and the cylinder block of the Pinatubo’s main engine is housed to remind visitors of the historical value of Manunggal in Philippine history. A chapel is also erected nearby during the height of a communist insurgency in the ’80s to guide the local inhabitants’ spiritual yearning. Mount Manunggal could now be accessed by vehicles through a road from Gaas, Balamban and it is four (4) kilometers long, more or less, one-fourth of which is concreted. Obviously, it is the easiest way to go to Manunggal. It is for this reason that the numbers of visitors have increased through the years. Cellular phone and radio transmitters are mounted and could be seen from far-away Babag Mountain Range giving Mt. Manunggal an excellent linear signal from among all commercial cellular phone providers and a good range for radio communications. It has been asserted that the former name of Mt. Manunggal is Mt. Sunog. This is the first featured mountain in Cebu in PinoyMountaineer. We are looking forward to promoting other mountains in the region such as Osmena Peak. Feel free to contribute new mountains in your region! 10 Comments on "Mt. Manunggal (1,003 +)"
Sir, is the itinerary posted is still OK? i mean is there other trail aside from brgy. tabunan? can anyone provide us updated / alternate trail going to Mt. Manuggal? were planning to climb 3rd week this month. hello. if i do the climb, wer can i register? wer can i find a guide? is a guide needed? thank you po. This was the first mountain i climbed in Cebu when I first joined Cebu Mountaineering Society(CeMS) back in 2006. Cebu is very rich in mountains and forested area. 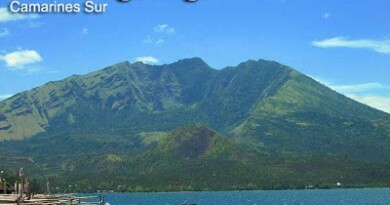 Cebu and Negros Islands for me are Mountain Heaven! Currently working abroad but am excited to be home this October and be with my CeMS family and conquer more mountains…more than climbing mountains…connecting and protecting with Mother Nature. wow! 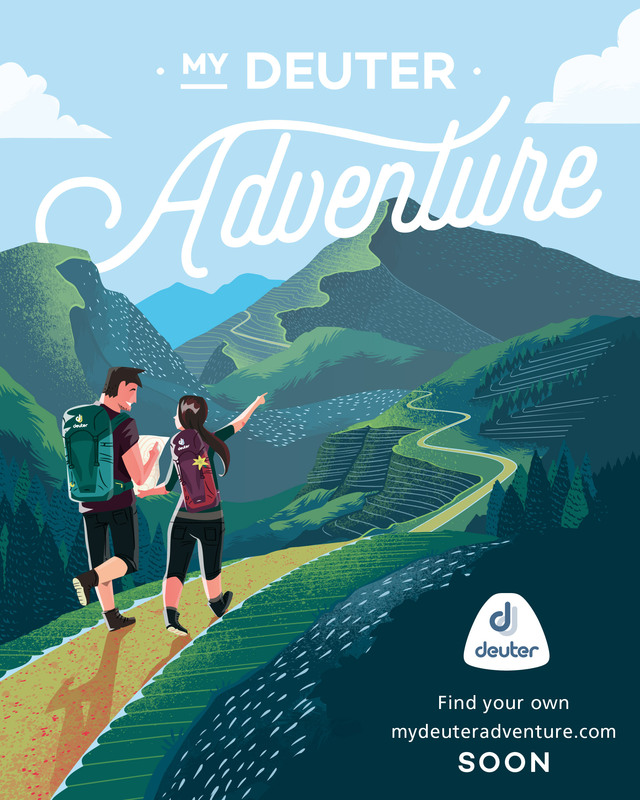 very informative..I've been there last year and it was really adventurous and fun….naglakad talaga kami from mainland for 4 hours then inakyat pa namin para makarating sa Mt. Manunggal…Ang saya! very fulfilling! hi i would like to ask some questions regarding the hike/trek/climb to manunggal for march 20-21. i am a novice & this is my first trek. 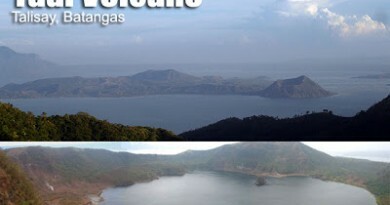 i would like to ask if the trek thru gaas, balamban is a good way to start. i don't have any mountaineer friends here in cebu. and i saw reviews that it's muddy & rainy even during March. i would also like to ask some questions. how can i get the answers i need? thank u. you may reply through my email annochino@yahoo.com. thank u.